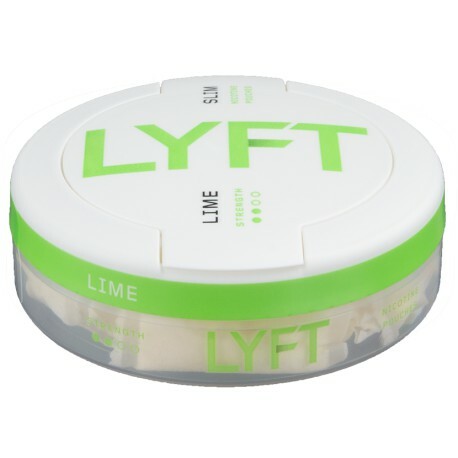 LYFT Lime Slim All White portions brings the taste of zesty lime and regular strength level of nicotine. From the makers of EPOK, instead of using white tobacco like EPOK, fiber from eucalyptus and pine is used. Aside from the nicotine which is extracted from tobacco, this is an all white tobacco-free product. In other words, it tastes like the LYFT Strong Lime but has a regular nicotine level. I, Moe Unz, think the person writing these flavor descriptions needs to be urine tested for drugs. Meanwhile, I need a drink!